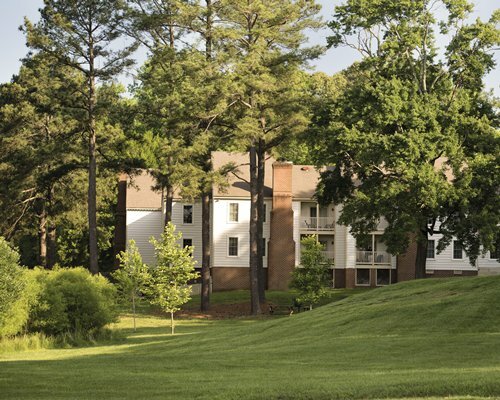 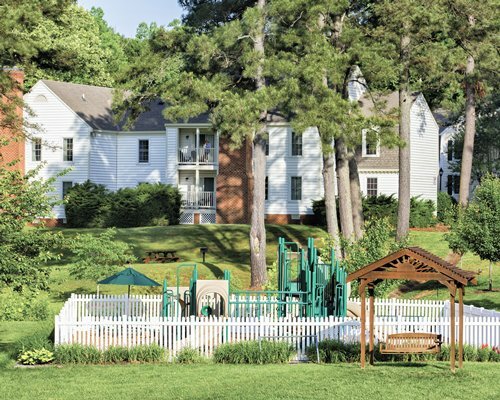 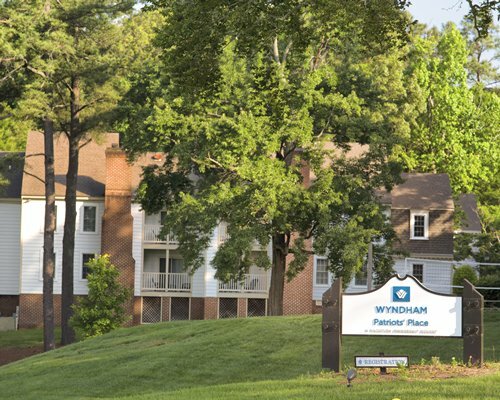 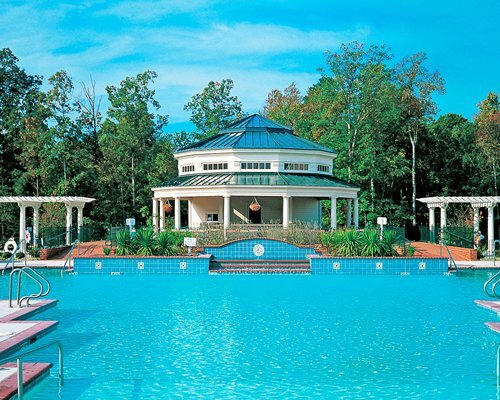 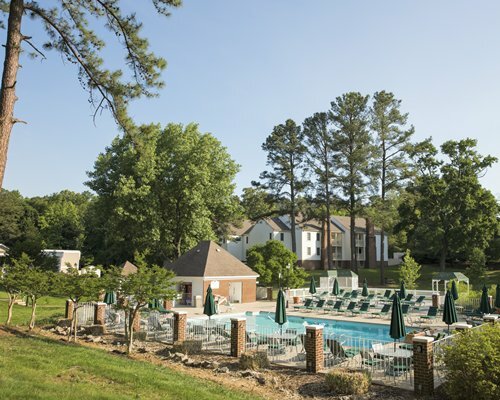 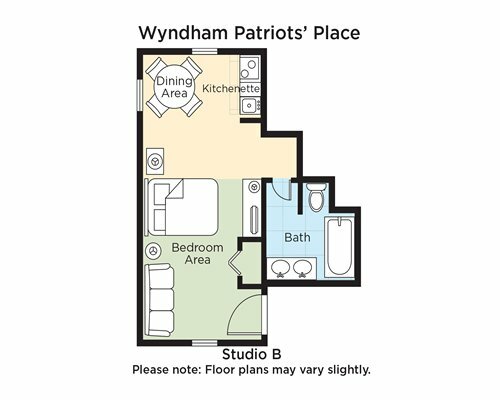 Wyndham Patriots' Place, about 1 mile away from Williamsburg's historical area, was built on the lush grounds of a former golf course. 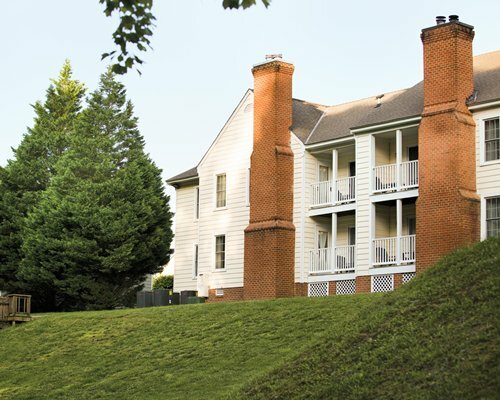 The property's spaciousness, mature landscaping, and low-key architectural style lends a warm, comfortable feel to your stay. 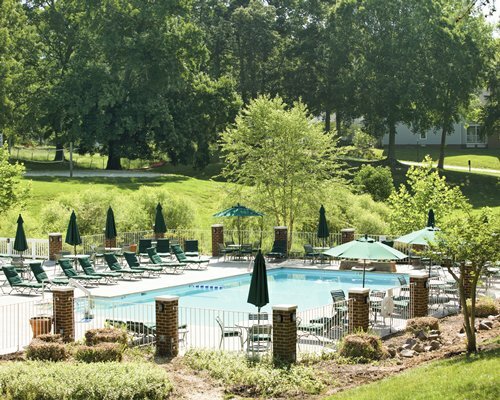 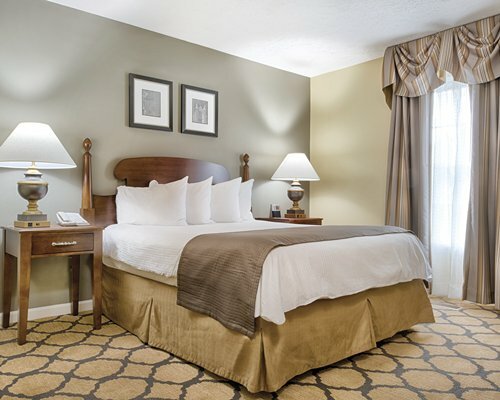 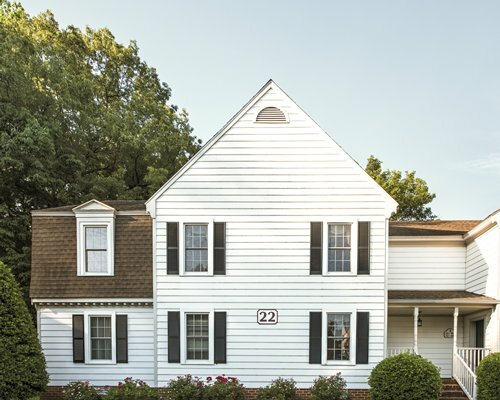 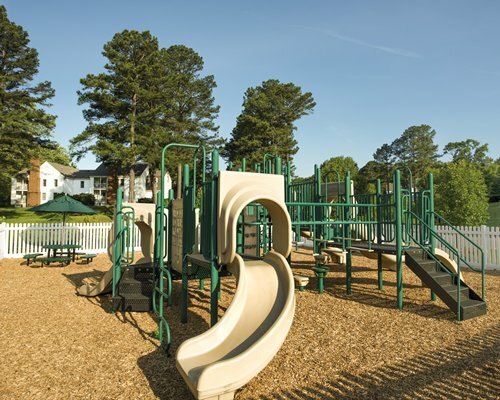 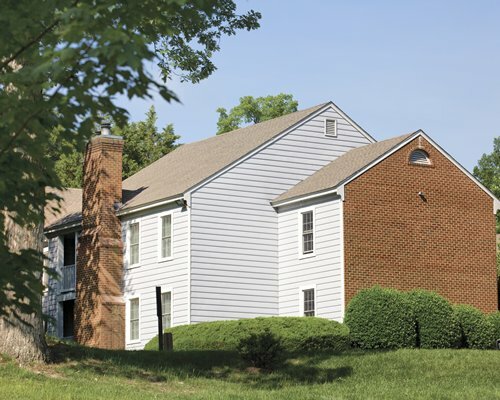 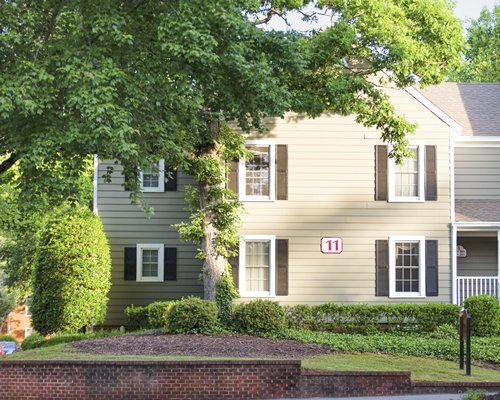 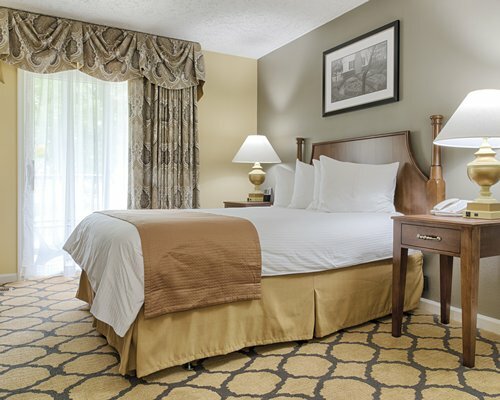 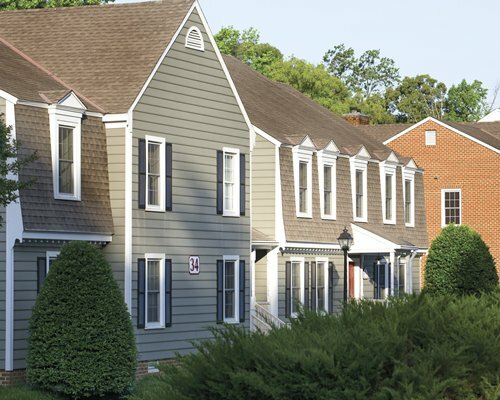 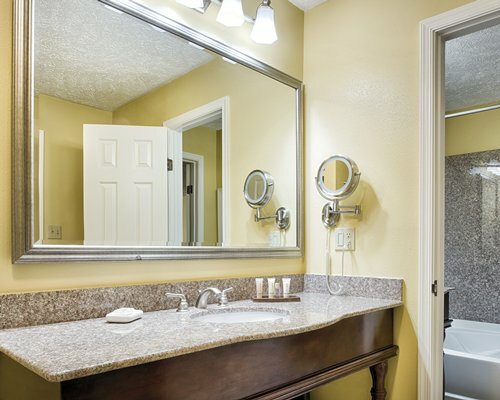 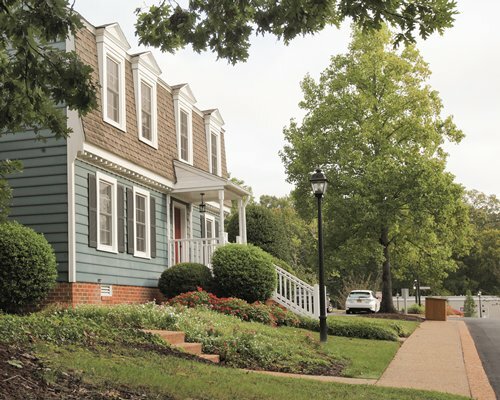 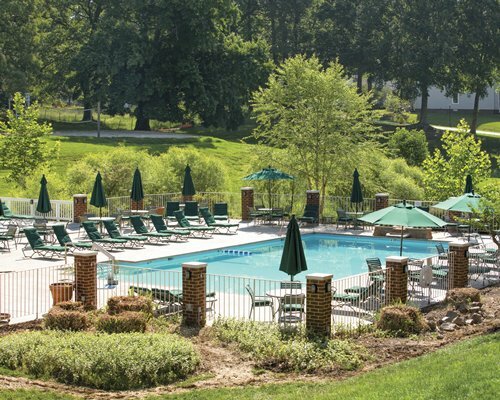 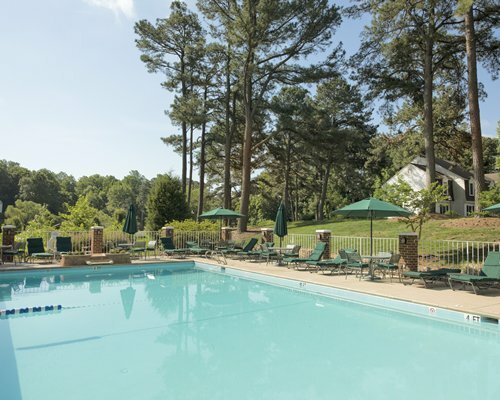 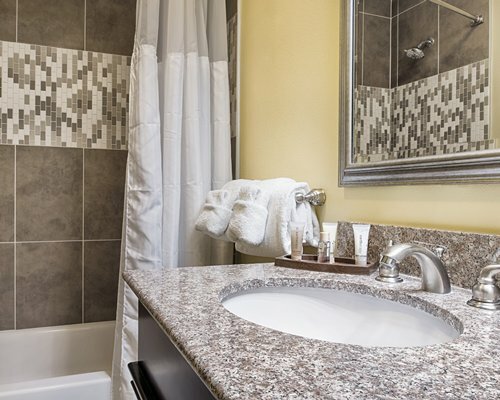 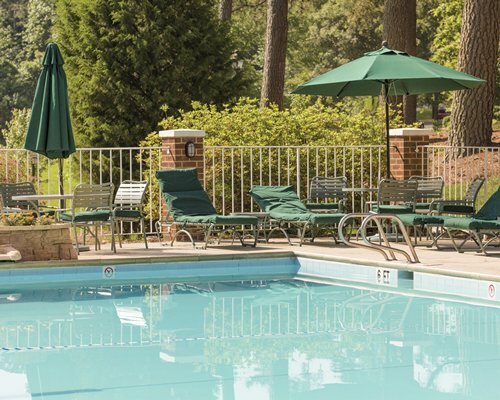 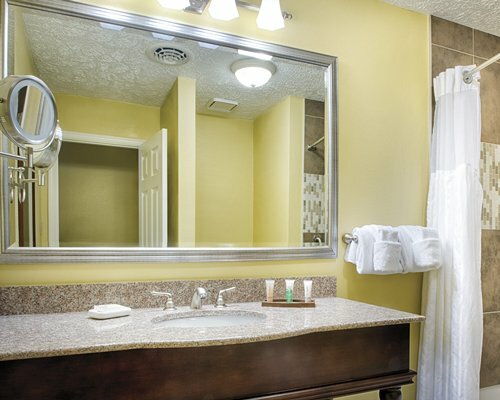 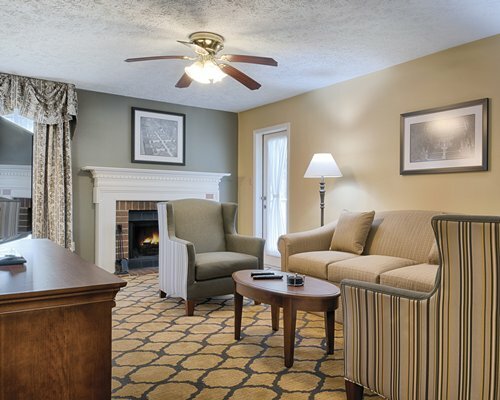 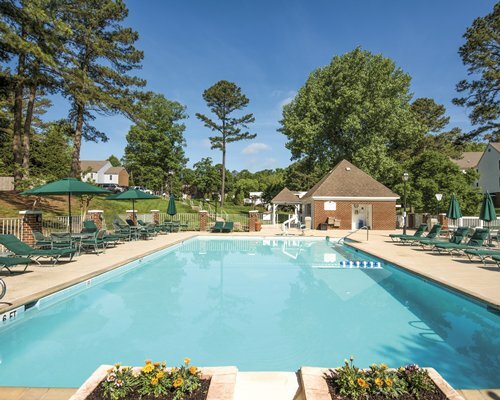 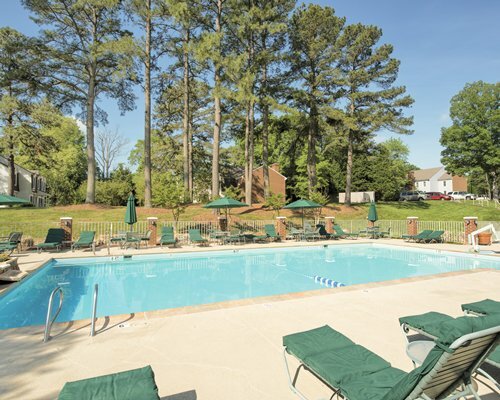 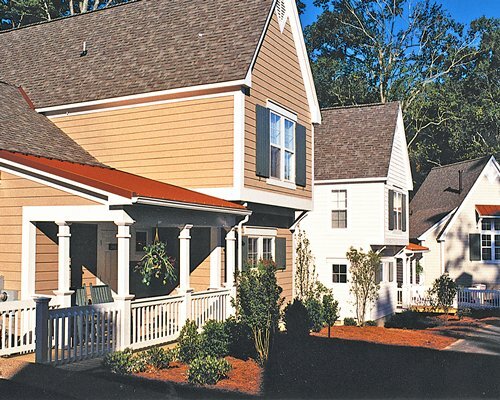 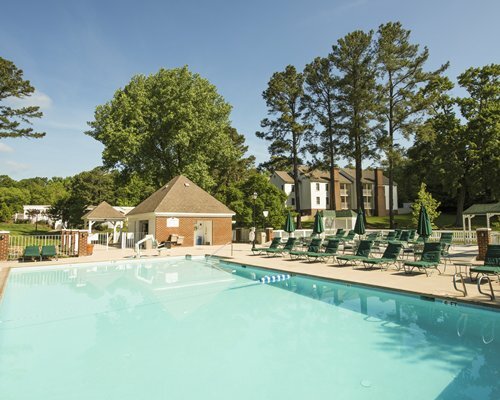 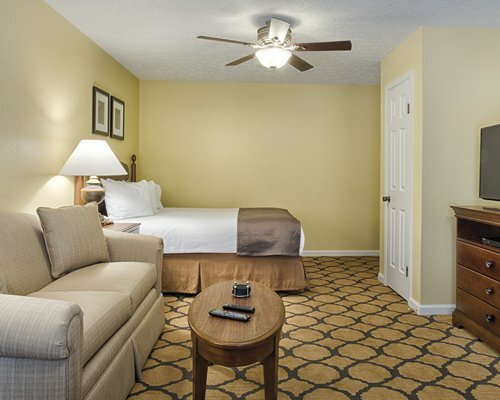 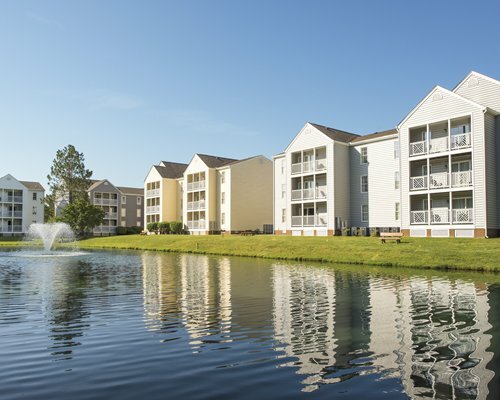 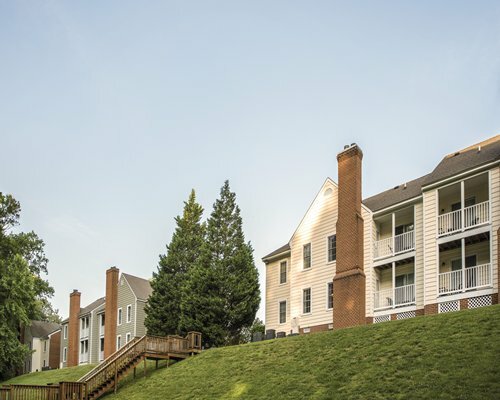 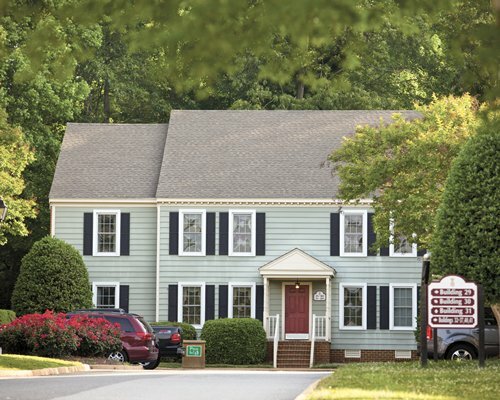 Guests find it to be a true relaxation spot that retains the charm of Colonial Williamsburg with solid construction and a homey feel, yet thoroughly up-to-date in terms of accommodation and ease. 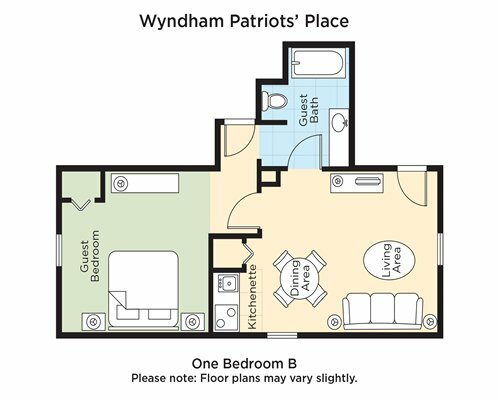 Wyndham Patriot's Place graces you with Colonial decor. 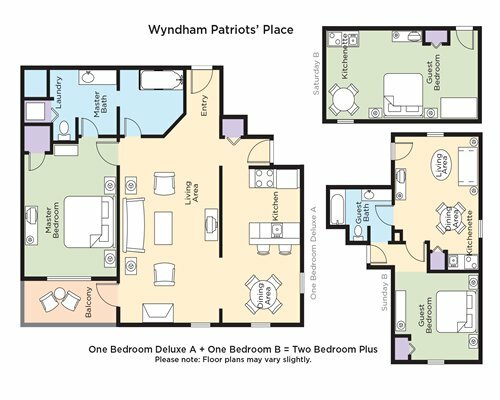 Studio units OCC: Max 2/Pri 2 have 1 bath and 1 queen bed. 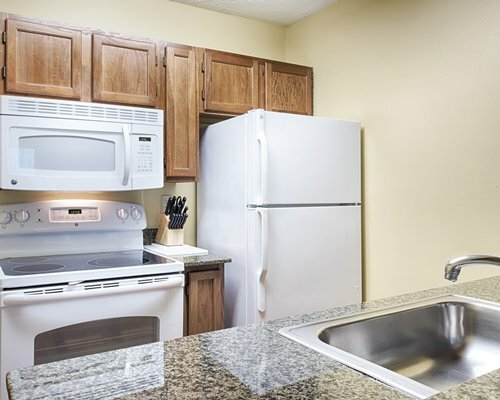 The kitchens have very little counter space. 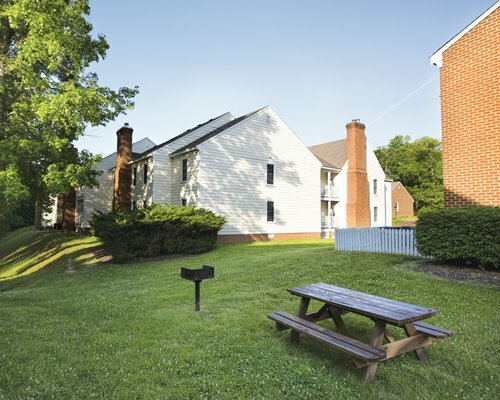 1BR units OCC:Max 4/Priv 2 have 1 bath, a queen bed, sleep sofa and partial kitchen. 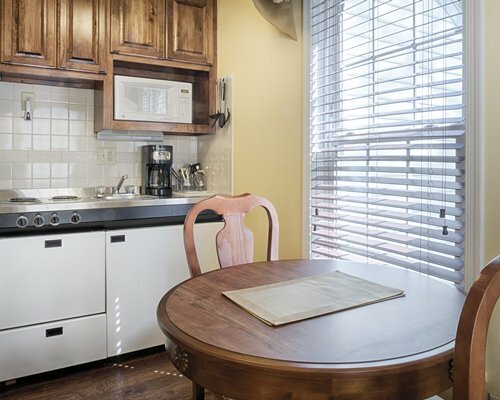 1BR units OCC:Max 4/Pri 4 have 1 bath, a queen bed, sleep sofa and a full kitchen. 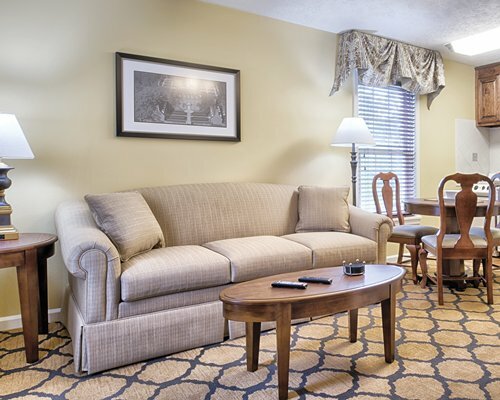 2BR units OCC: Max 8/Priv 6 have 2 baths, 2 queen beds and 2 sleep sofas. 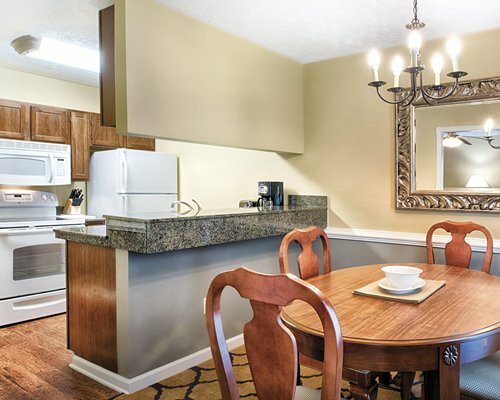 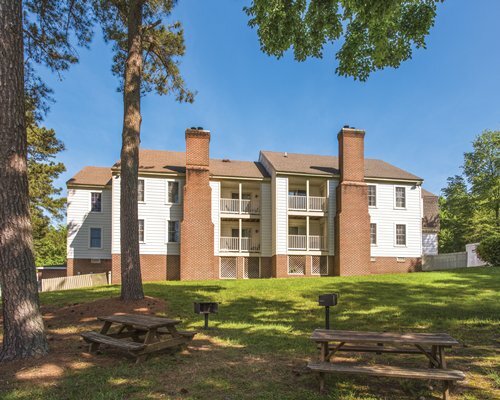 All 2BR units have a fireplace, full kitchen and a washer and dryer. 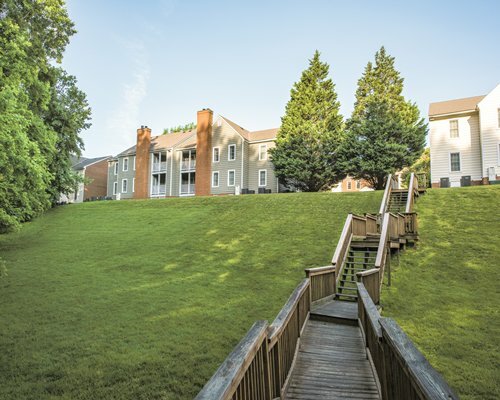 Stairs are required - all units.